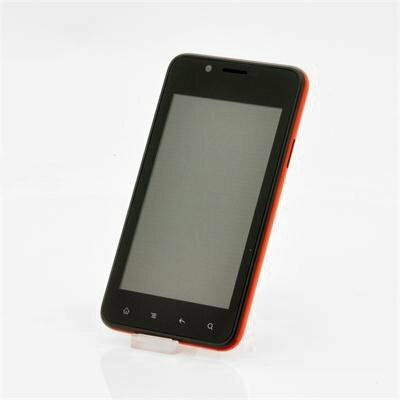 Successfully Added 4 Inch Android Phone "Flame" - 800x480, 1GHz Broadcom CPU, 4GB Internal Memory to your Shopping Cart. 4 Inch Android Phone featuring a 1GHz Broadcom CPU, 800x480 screen resolution and 4GB of Internal Memory. Get yourself a good Android phone today for just a fraction of the retail cost! Introducing Chinavasion’s Element series. Good Android phones, offered at a low price. Known as the “Flame”, this deep red design phone comes with a 4 inch 800x480 screen providing a clear view of all your multimedia content. Running on Android you’ll be able to access the well stocked Google Play store which offers 700,000 applications such as Twitter, Icomania, Temple Run and Candy Crush. Install any of the available apps directly on the “Flame” and experience a whorld of multimedia and entertainment at your fingertips. This "Flame" elemental series phone won’t disappoint you either when it comes to hardware. Boasting a 5MP rear camera, pictures and video will look splendid. Equipped with 4GB of internal memory, you’ll have plenty of space to store all of your pictures, videos, music and apps and a MicroSD card slot will even let you boost the memory up to an additional 32GB. Coming with many extras such as 3G, Bluetooth, WiFi N connectivity and GP, the “Flame” truly is a Smartphone. Due to this simplicity and advanced specifications of this phone, you are receiving a lot of phone for little money. 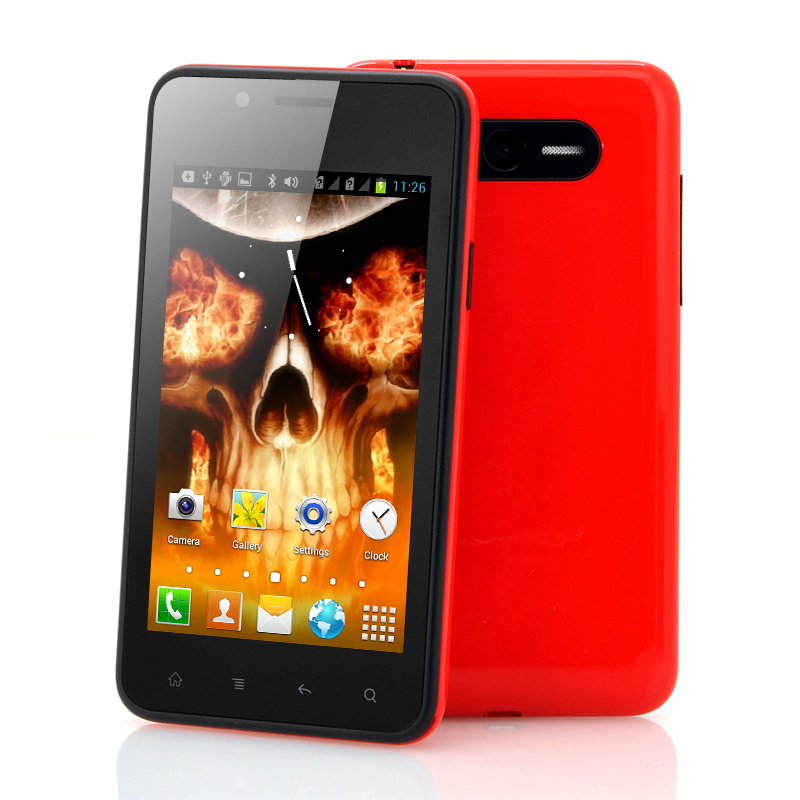 Ideal as a backup phone or for first time Smartphone users, the “Flame” is offered today at a low wholesale price. In stock now, the “Flame” can be dispatched within 24 hours of ordering and comes with a 12 month warranty. Brought to you by the leaders in wholesale electronics and Android phones, Chinavasion. * WLAN Position System by Google won't work, but due the very good GPS detection, this isn't important.